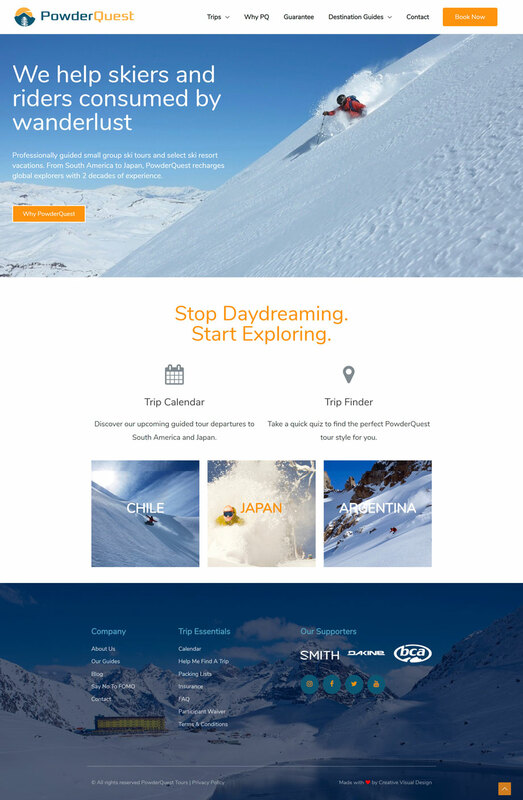 Project Details: PowderQuest helps skiers and riders consumed by wanderlust by providing professionally guided small group ski tours and select ski resort vacations. From South America to Japan, PowderQuest recharges global explorers with 2 decades of experience. What We Did: Web Design & Development using WordPress and the Astra WordPress Theme. Hosted with Liquid Web Managed WordPress Hosting.